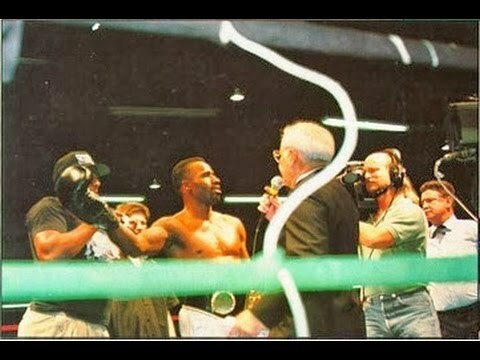 “Rare Footage” – Geto Boys’ Willie D Knocks Out Melle Mel At The 1992 Rappers Annual Charity Boxing Event In New York. The annual Rappers Charity Boxing event pitted rappers with boxing skills against rivals from opposite coasts. I missed it’s initial airing but caught highlights of it on a British hip hop/dance music show called Dance Energy, hosted by TV/radio presenter Normski. Since then stories of what went down at this event have become legendary. Some of it is exaggerated and some of it is just plain nonfactual. Tim Dog was scheduled to take on Dope E from Rap-A-Lot group The Terrorists, but Tim never showed up, so Freddie Foxxx had to step in as a replacement. After pummelling Spook Blunt of the group True Culture, Foxxx went on to take out Dope E by unanimous decision, winning both the heavy weight and super heavyweight titles.